Comments: This is a trade paperback. 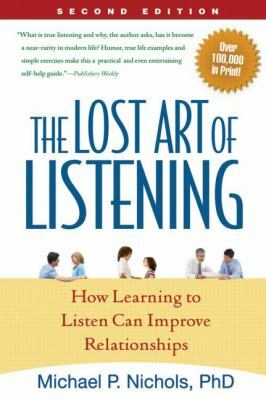 Nichols, Michael P. is the author of 'The Lost Art of Listening: How Learning to Listen Can Improve Relationships', published 2009 under ISBN 9781593859862 and ISBN 1593859864. Loading marketplace prices 202 copies from $9.97 How does the rental process work?